Must hold a master’s degree or higher in counseling or a closely related field from a college or university that was accredited when the degree was awarded by one of the regional accrediting bodies recognized by the Council for Higher Education Accreditation. Any person who works in a closely related mental health field, but does not hold a master’s degree in counseling. Must be enrolled half-time or more in a counseling or a closely related mental health field, but does not hold a master’s degree in counseling. 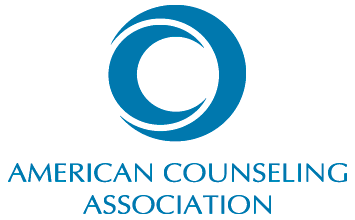 A retired member is a person who has been an ICA professional member for five consecutive years and who has retired from the counseling profession. ICA Professional/Associate - $60.00 (USD) Subscription period: 1 year Automatic renewal (recurring payments) Thank you for joining ICA! Join ICA Divisions on the next page. Designate your Division Choices below your contact information. ICA Student/Retired - $30.00 (USD) Subscription period: 1 year Automatic renewal (recurring payments) Thank you for joining ICA! Join ICA Divisions on the next page. Designate your Division Choices below your contact information. ICA Division Membership Only - Variable Subscription period: 1 year No automatically recurring payments Join ICA Divisions on the next page. Designate your Division Choices below your contact information. Sue Holmes, Executive Director, will be in contact with you soon. You will be sent an invoice with pro-rated dues in accordance with your ICA membership renewal.